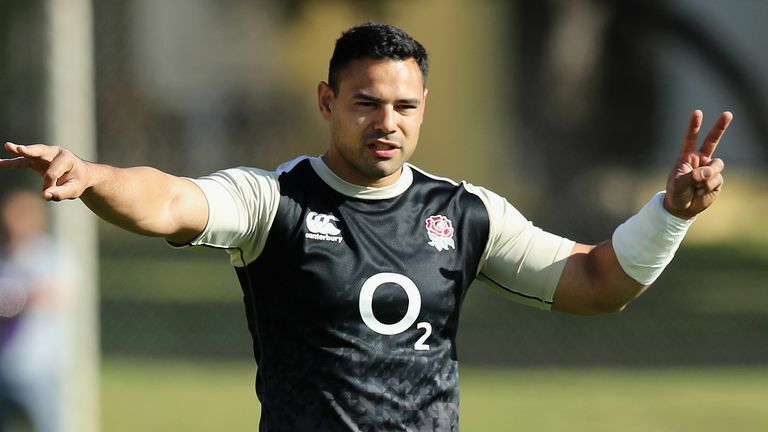 While the current England squad has been decimated by injuries, there are still several players in Eddie Jones' group who saw New Zealand's capabilities at first hand back then. Along with Te'o, the likes of Owen Farrell, Maro Itoje, Courtney Lawes and George Kruis were both involved then and could feature on Saturday at Twickenham. "We saw what a great team they are," Te'o told Sky Sports News. "They've got threats all across the field but the main thing was just how smart they are. "They're a very smart team tactically and you've got to be on your game. You've got to meet them up front but you've got to be technically sound. "There were some times with the Lions where we probably made a few mistakes and they made us pay. "It was a great experience to go there and play the best team in the world. It's great to have experience but you've got to build your own confidence. "Just because I've played them before and other guys have as well, that doesn't mean you've sussed them out. "They're a team which is always evolving so we've got to be on our game, watch their latest games and see where their threats are." One player who could face England, despite questions from some in his homeland about whether he's still capable at Test level, is Sonny Bill Williams. At 33-years-old, there is no argument over his skillset - but a lack of match time means there have been doubts in some quarters over his ownership of the No 12 jersey. Te'o remains an admirer, however, adding: "He's a talent, isn't he? He's been one of the best players in the world for both codes and he's an incredible athlete. "He's added a lot to his game. He's a great passer and offloader and obviously a great runner. We'll have our hands full there in the midfield with him. "But that's what it is, it's a challenge and we're looking forward to it. I don't just think it's about stopping the offload [from Williams], he's got a lot more to his game than that. Who should play full-back for England? "We'll be watching a lot of video this week and he's got a great centre partnership there with Ryan Crotty. They change up their roles a lot so we'll see how we go."